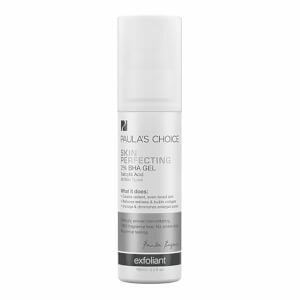 Gain complete control of your combination to oily complexion with the Paula's Choice Resist Daily Pore-Refining Treatment, a leave-on exfoliant that promises to improve skin tone and texture, without over-drying or uncomfortable tightness. Its unique formula deeply penetrates into skin to unclog and minimise the appearance of pores, working to prevent breakouts, eliminate blackheads and banish dead cells. Fortified with powerful antioxidants and salicylic acid to stimulate collagen production for a firmer, younger-looking complexion, the weightless treatment repairs signs of ageing by smoothening fine lines and wrinkles, whilst anti-irritants soothe and calm redness to refine and renew skin. E.N. Dispense a dime-sized amount onto a cotton ball or pad and stroke over clean skin, including around the eyes (do not apply to eyelids or along lower lash line). This product may also be applied with your fingers. Do not rinse off. 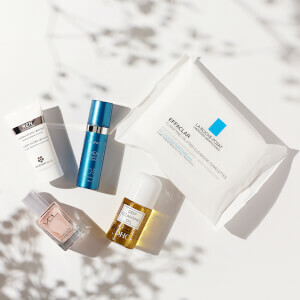 Follow with your favourite Resist serum, moisturiser, and/or specialty product. 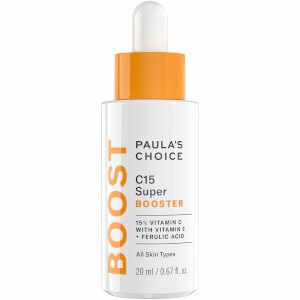 For daytime, always wear under a broad spectrum sunscreen rated SPF 15 or greater. Aqua, Dipropylene Glycol (slip agent/penetration enhancer), Pentylene Glycol (slip agent/penetration enhancer), Salicylic Acid (Beta Hydroxy Acid, exfoliating agent), Butylene Glycol (slip agent), Polysorbate 20 (emulsifier), Palmitoyl Tripeptide-1 (cell-communicating ingredient), Palmitoyl Tetrapeptide-7 (cell-communicating ingredient), Dipotassium Glycyrrhizate (anti-irritant), Nordihydroguaiaretic Acid (antioxidant), Oleanolic Acid (anti-irritant), (skin-repairing ingredient), Allantoin (anti-irritant), Trehalose (skin-repairing ingredient), Panthenol (skin-conditioning agent), Glycerin (skin-repairing ingredient), PEG-60 Almond Glycerides (emulsifier), Caprylyl Glycol (skin-conditioning agent), PEG/PPG-18/4 Copolymer (solvent), Methyl Gluceth-20 (skin-conditioning agent), Bis-PEG-18 Methyl Ether Dimethyl Silane (skin-conditioning agent), Glycereth-26 (emollient thickener), Sodium Metabisulfite (stabilizer), Sodium Hydroxide (pH adjuster), Carbomer (gel based thickener), Disodium EDTA (chelating agent).